Bellator’s Heavyweight Grand Prix 2018 is a head scratcher. Let us guide you through it! 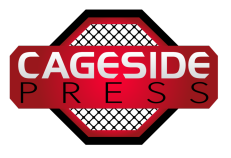 We don’t yet know who the alternates will be, but given the history of heavyweight tournaments (we’re looking at you, Strikeforce), there should be some. Otherwise, we’re likely the see the finale sometime in late 2019. It wouldn’t even shock us if someone dropped out. Through all of this, there’s one key to keep in mind: despite some questionable selections, this could turn out to be a lot of fun. 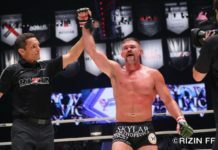 If RIZIN can host a Heavyweight GP capped off by a victorious Cro-Cop, why can’t Bellator do something similar? 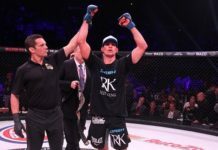 So lets navigate through the murky waters of the Bellator Heavyweight Grand Prix 2018, and make sense of what’s to come. 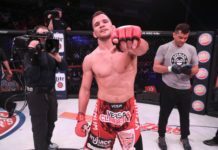 Lets be clear on Bellator’s primary goal here: leave nothing to chance. Once bitten, twice shy. 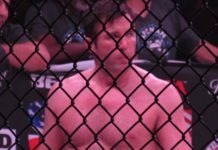 Remember that time when King Mo was entered in the Bellator Season 8 light heavyweight tournament, only for a spinning back fist to send him sailing out of it in the semi-finals? Or let your mind wander back to the Strikeforce heavyweight Grand Prix, where possible match-ups between Arlovski and Barnett, not to mention Overeem and Fedor, never happened. What will you see in the cage here? 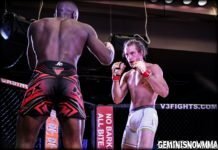 A rusty Mir vs. a chinny Fedor, most likely. Fedor should have the edge, as even before his time off, Mir hadn’t been looking great. Back-to-back losses to Andrei Arlovski and Mark Hunt (a blistering KO) were the last impressions Mir got to make in front of the UFC audience. 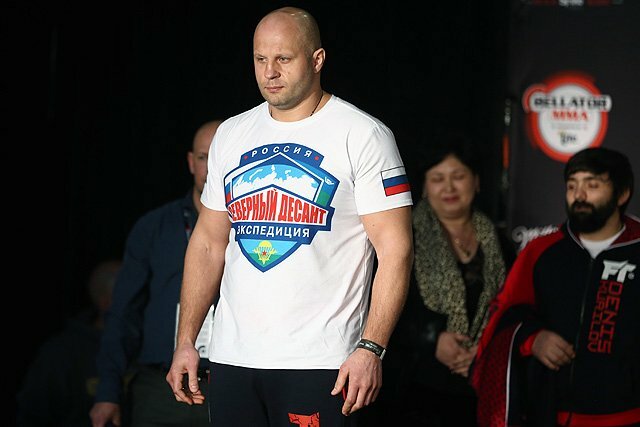 That said, Emelianenko has not been his old self, and has struggled on western soil. Will he change all that against Mir? For the sake of his legacy, here’s hoping. 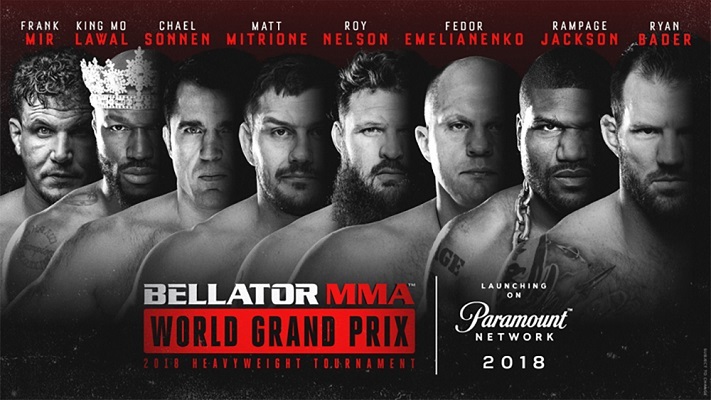 If you consider the fact that Mir and Emelianenko may very well be shot as viable heavyweight contenders even in Bellator, in Nelson vs. Mitrione (the sequel), you may very well have the only legitimate heavyweight fight in the entire Bellator Heavyweight Grand Prix 2018. A rematch of their UFC bout from 2012, expect to see a very different fight. And by that, we mean don’t expect to see an early finish. 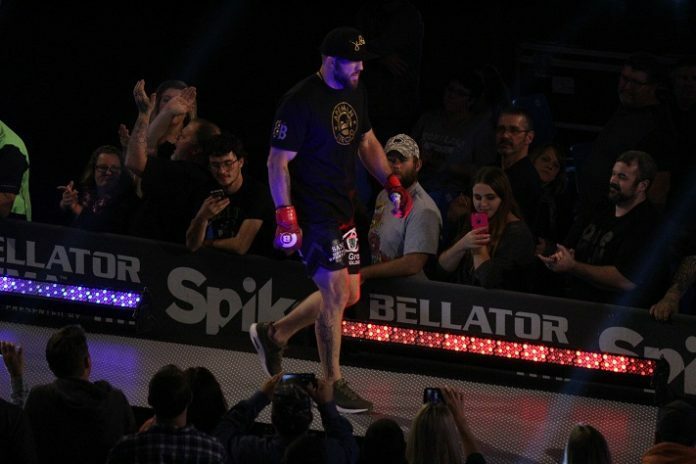 We could be wrong, but Mitrione has come a ways since 2012, developing into a solid talent in the cage. Nelson, meanwhile, actually has two decision wins in his last five fights, over which he has gone 3-2. He might even be 4-1 had the judges given more credit for his takedowns against Derrick Lewis. 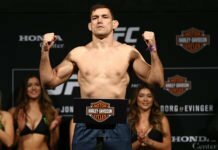 Nelson no longer goes out guns blazing, and hasn’t since his knockout loss to Mark Hunt, though he can still knock your head off — just ask Bigfoot Silva. Mitrione, meanwhile, had just six pro fights when he met Nelson the first time. Since then, he has shared the cage with Derrick Lewis, Gabriel Gonzaga, Ben Rothwell, Travis Browne, and Fedor. This is probably a pick ’em, though many will favor the younger Mitrione. That said, with Nelson motivated and occasionally using his grappling, he may have the edge. That right hand is always a factor as well. 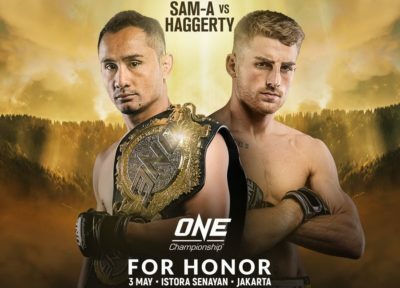 This is probably the most intriguing fight in the tournament, as your eventual winner could very well be one of these two men. 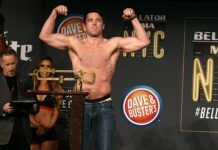 Ryan Bader expressed his desire to get a crack at a second belt following his win at Bellator 186, and with a limited number of light heavyweight contenders at the moment, the promotion obliged. It’s actually smart booking: Mo and Bader were booked previously, at light heavyweight. Now, they get to dance at heavyweight, and no one feels cheated. Except for the fact that Bader’s belt isn’t on the line. Mo, of course, has fought at heavyweight before, defeating Cheick Kongo, and Rampage Jackson in the second of their two fights. He was also knocked out by Cro-Cop in RIZIN, and may struggle with some of the bigger, heavier-hitting big men. Bader? Well, he’s strong for a light heavyweight, and has his wrestling, but where he winds up if caught on the wrong end of a Big Country right hand is a big question. Either way, Bellator gets a marquee match-up here. 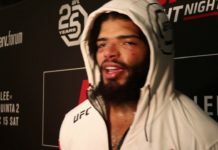 If Bader loses, he still goes on to rule the light heavyweight division, until Phil Davis earns a rematch, or perhaps Liam McGeary. If he wins, who knows — but the winner of Bader vs. Mo is fighting the winner of Mitrione vs. Big Country, and that’s not a favorable bout for either man. Matt Mitrione called Chael Sonnen a “bloated middleweight” heading into this tournament, and he’s not wrong. Sonnen, who never turns down a fight (or a paycheck) could easily have been replaced by someone like Justin Wren or Sergei Kharitonov here (it’s doubtful Jackson would want to fight pal Cheick Kongo — remember how he had no interest in facing Emanuel Newton?). However, Sonnen’s name, and more importantly his mouth, brings in eyeballs. Bellator knows this, just as it knows that the Rampage Jackson name still has value, even in 2018. So they booked the biggest freakshow fight of the tournament. A fight Rampage specifically said he didn’t want. Welcome back to Bellator, Quinton. All that having been said, both men have had their moments at light heavyweight. Jackson is still a legend who won the UFC light heavyweight title, and unified it with the Pride middleweight belt when he defeated Dan Henderson at UFC 75. 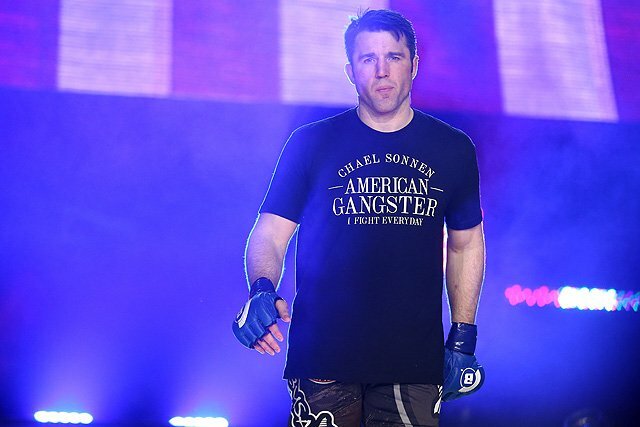 Sonnen, meanwhile, was moments a way from a broken toe being his ticket to glory against Jon Jones at UFC 159. He holds wins over Shogun Rua, and most recently Wanderlei Silva earlier this year, in the weight class. His biggest issue has been against some of the larger light heavyweights, however. Tito Ortiz made short work of him, as did Jon Jones. He does, however, own a win over current UFC heavyweight Oleksiy Oliynyk. More than likely, this is Jackson’s fight to lose, and this is ultimately the fight that will be about the build-up more than the fight itself. Which should feel cheap, but given how this tournament is breaking down, it feels more like a guilty pleasure. Add to that the fact that if Sonnen does win, he’s already picked a feud with Fedor. The Bad Guy with the mouth vs. the stoic Russian? That could be interesting. There are a number of names not in this tournament, for whatever reason. We can certainly speculate. 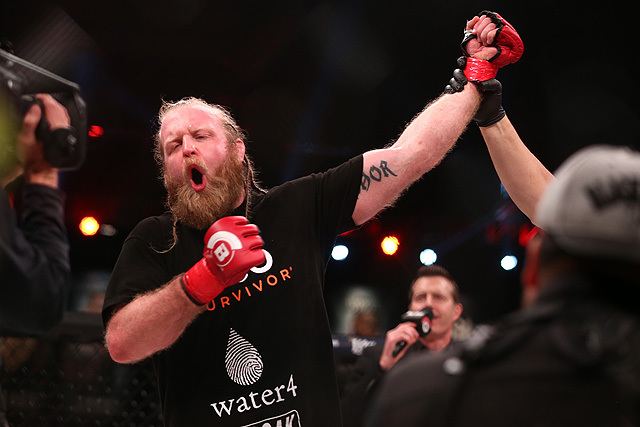 Sergei Kharitonov was part of the Strikeforce Heavyweight Grand Prix, but doesn’t fight exclusively for Bellator. The threat of him being injured outside the promotion probably makes his inclusion too much of a risk. Bobby Lashley has a similar situation with pro wrestling. As nice as it would be to see him really tested before the end of his MMA career, it won’t be here. Cheick Kongo? Likely wouldn’t fight Rampage if the pairing came up, and his style these days isn’t all that fan friendly. There are a few other names in play, however. Justin Wren is just about the best story in the heavyweight division: kicking drugs, dedicating his life to charity, and coming back to the sport to further his cause. 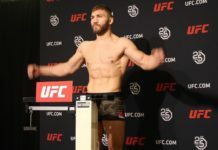 He has improved every time out, and the UFC and Ultimate Fighter vet submitted Roman Pizzolato in March. Shane Carwin has been petitioning for a spot, and if the financials could be worked out, that would be golden. 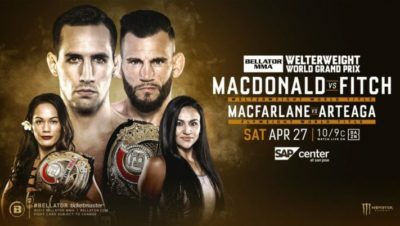 Rory MacDonald wants in as an alternate also, but forget that idea — his future is welterweight, perhaps middleweight. Javy Ayala or Oli Thompson could work; James Thompson has not fought since a proposed bout with Kimbo Slice fell through due to Slice’s untimely death last year, he could work as well. 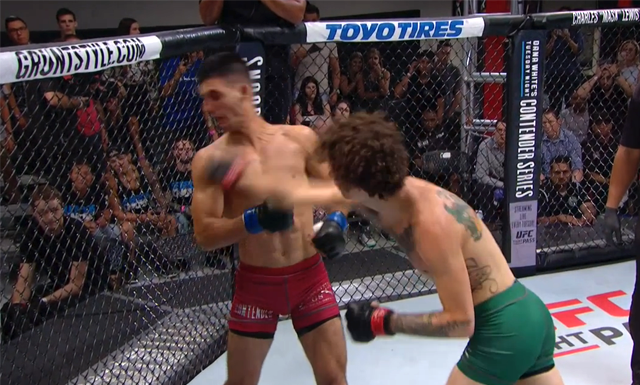 Ex-UFC fighter Jack May got in the win column early this year, he might work as well. So would Chase Gormley. None of these names outside of Carwin, however, would be serious threats to win, and that’s if Carwin came back looking like his old self. The question is: who could be Bellator’s Daniel Cormier? Given the names available, Carwin (if signed) vs. Wren is the fight to make.